It's official. Thunderbirds Are Go TV series will debut on April 4 in the U.K. Saturday, 5pm on ITV. New Zealand gets the show a week later on the 12th. 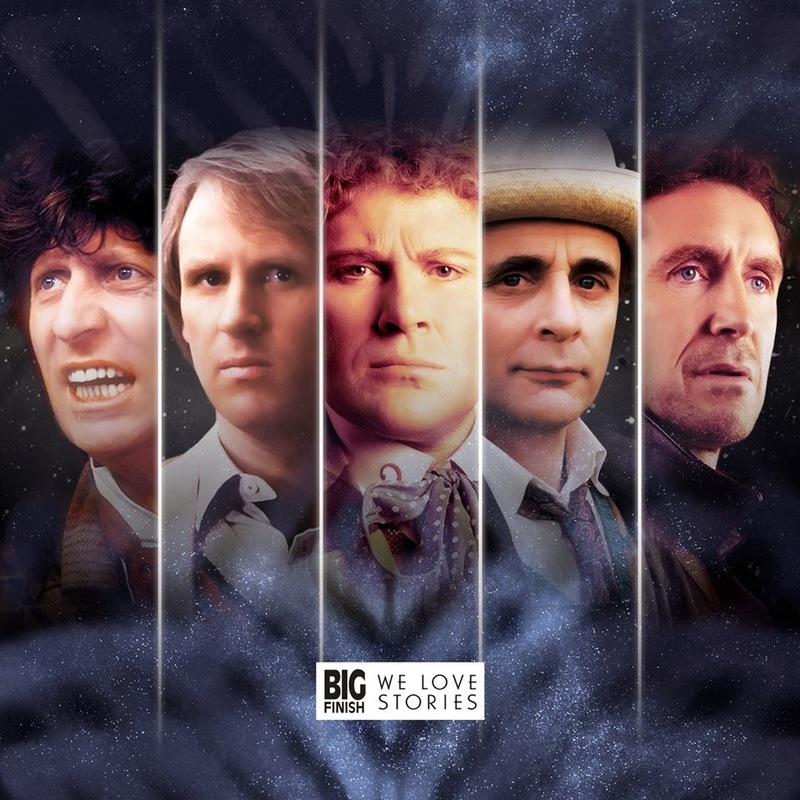 Following on the heels of the news of having their Doctor Who licence renewed to 2020 comes the news of new releases for the popular Novel Adaptions,4th Doctor and 8th Doctor ranges. 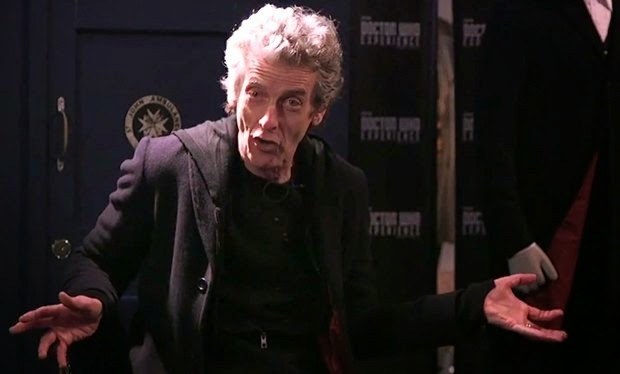 Peter Capaldi surprised a group of fans on March 26th at the Doctor Who Experiance as part of the 10th Anniversary of NuWho. He answered questions from the kids and it is really great to see him in the video below entertaining everyone with his knowledge of the show. 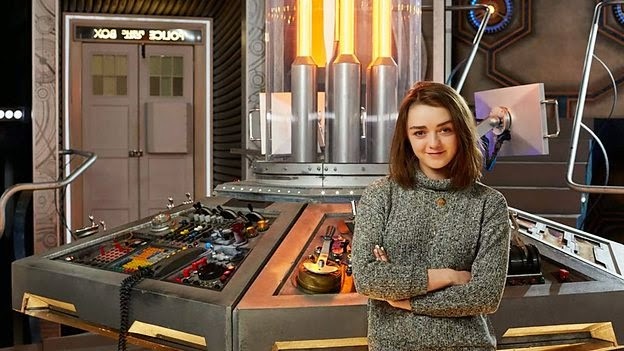 Maisie Williams who plays Arya Stark in Game of Thrones has been revealed as a guest star in series 9 on Doctor Who. Announced today on the BBC Doctor Who Twitter feed it has been revealed that she has begun filming the episode that features her today and this is great news as she is one of the best newcomers in the acting field. Doctor Who stars Peter Capaldi and Jenna Coleman and returns this Fall. You can read the full press release below. March 26th 2005 is the date that Doctor Who returned to our screens. Since then we have had four Doctors and discovered a Doctor we didn’t know even existed. A lot of stuff has happened in those ten years. New chapters have been added to The Doctor’s story that kept the mystery of him going. We got to see a lot more of the human side of The Doctor as we watch him getting married to River Song and how that relationship affected the mysterious traveler. We also learned what happened to Gallifrey and how the Time War ended and it left us with a question that still hasn’t been answered. These ten years have sure changed the show that we used to watch in the 60’s, 70’s and 80’s and it was for the better as the old format would not work that well in this day and age. Everything we knew about Doctor Who changed 10 years ago on March 26th some for the better and some not so well. But that should be expected when you have a show that’s been on the air for ten years straight. Once, long ago, in a land of monsters and corridors, a fair maiden was captured and placed in a deep sleep. She was used to being captured and she had a hero who rescued her on just such occasions. But this time the hero never came. And the fair maiden slept on. Eventually, a King rescued the maiden, and made her his bride, which many wise old women might tell you are just another way of capturing fair maidens. And still the fair maiden slept on. Then, the hero had another stab at rescuing the maiden from her prison but he was too late. And, more importantly, he had forgotten the rules of fairy tales. He didn’t slay the dragon. Big Finish announced today that their license to make Doctor Who audio adventures has been renewed to 2020. That is great news as we will have five more years of Doctor Who adventures and spin offs. For fans of Big Finish, like myself, this is welcoming news as the stories from Big Finish are top notch and a lot of times better than the show on TV now. You can read the full press release below. To celebrate NuWho's 10th anniversary Doctor Who Magazine will be releasing four covers to mark the event. 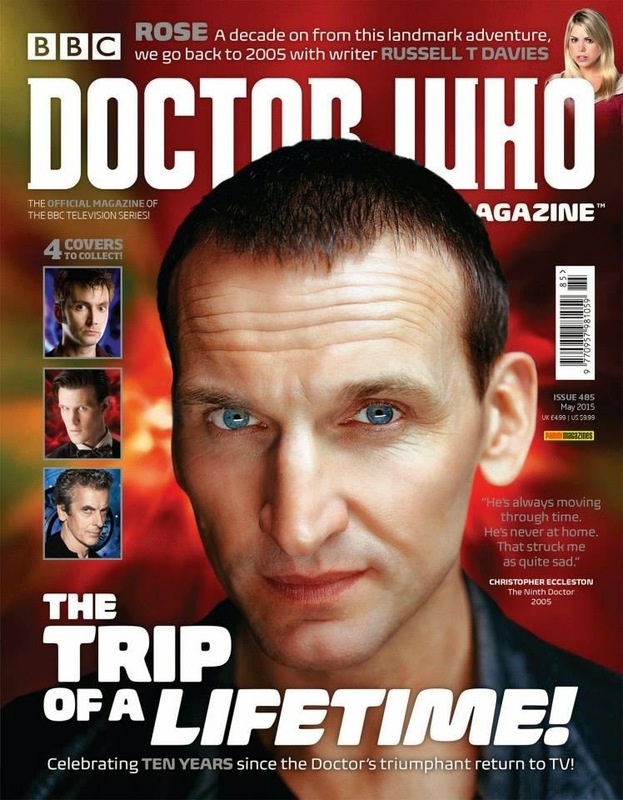 The four covers showcase the NuWho Doctors Christopher Eccleston, David Tennant, Matt Smith and Peter Capaldi. The issue will be out April 2nd in the UK. Below is the information of what the issue will contain. Rose is wandering in the cellar of the shop she works at to give Wilson the lottery money. She is having a hard time finding him and she seems to be seeing movement in the corner of her eye. It appears that the shop dummies have come to life and have proceeded to chase her. Rose thinking it is a college prank yells at them to stop it. It appears that the shop dummies are Autons and have every intention of killing her. When out of nowhere a stranger grabs her hand and tells her to run. 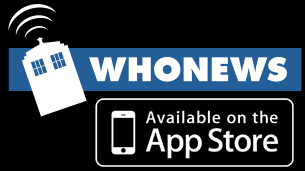 Today is the eve of the 10th anniversary of NuWho when Rose debuted on our screens. How many of you remember this trailer and the excitement it brought to you knowing that the show was actually coming back. So here is that trailer again for you to enjoy. 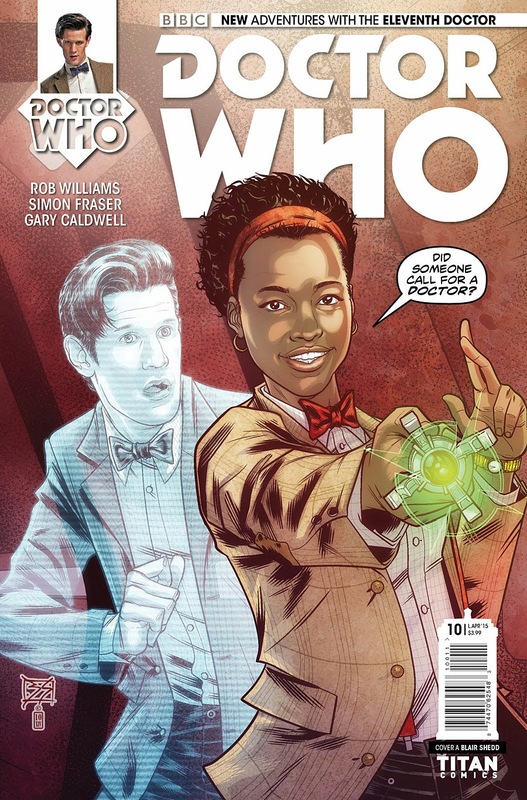 Out today is issue 10 of the Eleventh Doctor comic book and it continues on with the SERVYOUinc storyline. 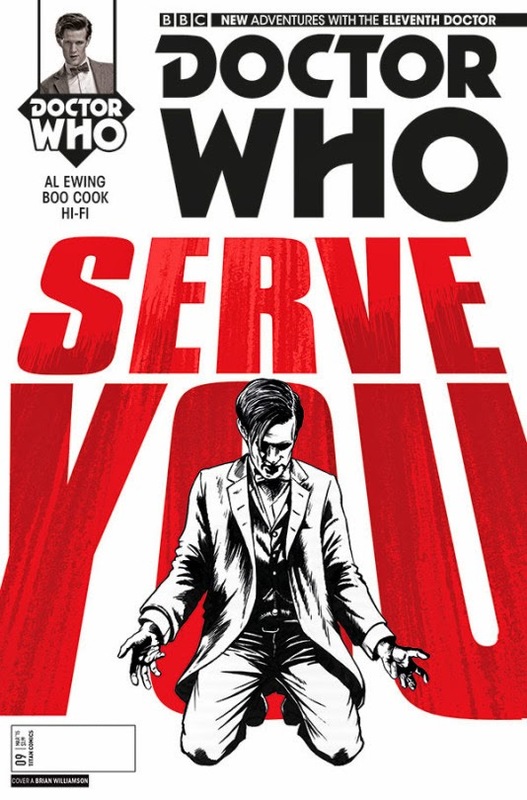 The Doctor has lost himself in a hostile takeover of SERVEYOUinc, and it's up to Alice, Jones and ARC to bring him back to his senses. And if that takes a little judicious cosplay, well, Alice is all for it! The BBC Instagram page has released a few more pics and this time nothing really spoilerish but there is one that will have you scratching your head wondering what it could be used for. Plus we also get a small glimpse of Peter Capaldi this time around. 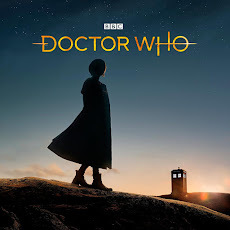 Doctor Who - Out Now!! Doctor Who Magazine Special "The Master"
The next volume of the Doctor Who Magazine Essential series features the many faces of The Master. 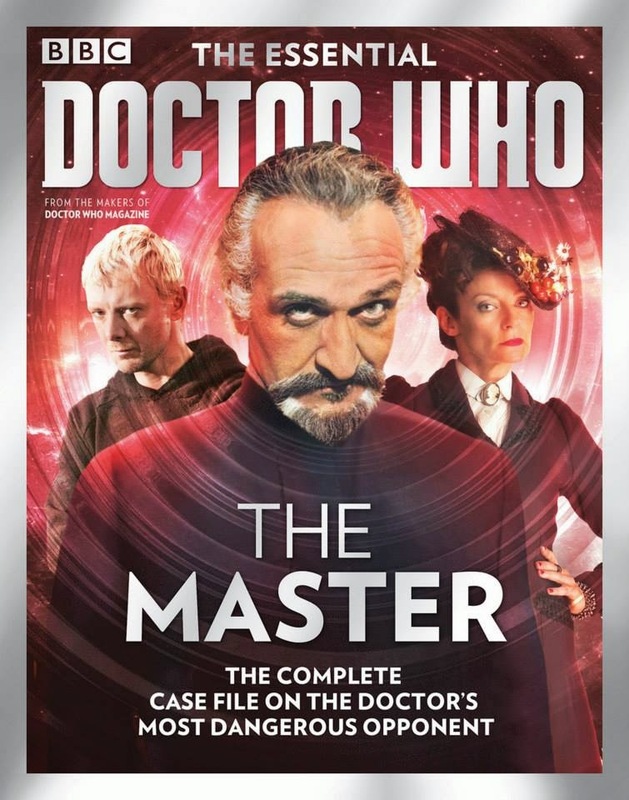 From Roger Delgado to Michelle Gomez this issue will give you everything you need to know about The Doctor's deadliest enemy. The Essential Master is out now. Over 116 pages of all-new material, the latest issue of The Essential Doctor Who examines every Master story – from Terror of the Autons to Death in Heaven – and profiles the actors who have brought the villainous Time Lord to life. Writer and co-creator Terrance Dicks, Katy Manning (Jo Grant), Richard Franklin (Captain Yates) and Matthew Waterhouse (Adric) discuss their special links to the character, and there is an exclusive new interview with Michelle Gomez, who reveals what it was like to take on one of the most famous roles in Doctor Who. Elsewhere in this issue, Andrew Pixley applies his scrutiny to The Pandora Machine and Time Inc, early drafts of better known stories that cast the Master in a new light. Conbust is a sci-fi/fantasy/anime/gaming convention put on each spring by students at Smith College in Northampton, Massachusetts. This three-day event provides fans of various geekdoms the opportunity to gather and enjoy their interests as a whole. Panels and workshops, as well as many artists, vendors, and tabletop/LARP games, can be found in great abundance throughout the weekend. And of course, we have a fabulous array of guests who will be attending and presenting panels. What sets ConBust apart from most other sci-fi, fantasy, anime, and/or gaming conventions is its focus on the female members of the participating community. 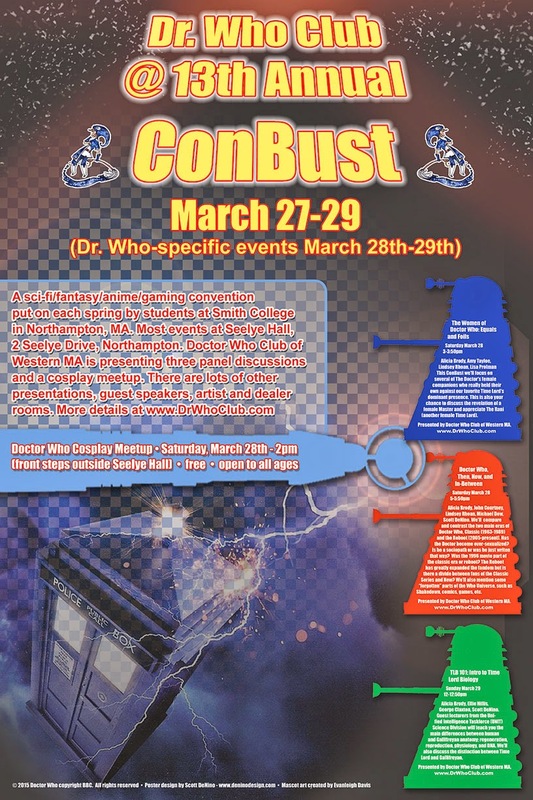 While the various realms of geekdom remain stereotypically male-dominated, ConBust is held to celebrate the work and participation of women amongst these genres. TLB 101: Intro to Time Lord Biology. Lots of other panels on various subjects and artist/dealer rooms! I am not connected with this camp but thought it may be of interest. "Based on the hit British Sci Fi series, campers will create their own experiences through stories, crafts, and skits. The “Specialty” part of Y-Specialty Camps at Camp Apex run from 9 am to 12:30 pm, Monday - Friday. The afternoon is spent enjoying the many amenities available at Camp Apex. Call Dave at 413-773-3646 ext 436 for more info. Subject to minimum enrollment or it may be cancelled, so please spread the word." The BBC have released some teaser photos of the current filming. One in particular is quite interesting as it looks like a familiar alien race might be making a return. I'll let you make your mind up for yourselves as the released photo is out of focus but you can probably make out what it might be. This will be his second story for Peter Capaldi's Doctor as he wrote last series Robots of Sherwood. It seems his next story will be a horror story and not be light hearted as his previous stories have been. Here are the pics that the BBC have released and if you do not want to see them then do not continue on after the break. Frazer Hines is returning to LI Who. This marks his third appearance at LI Who and he is definitely a crowd favorite at LI Who. It will be good to catch up with Frazer Hines and to hear the stories of working with Patrick Troughton and the 2nd Doctor era. 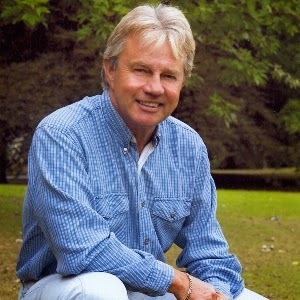 Frazer Hines announced as first returning guest of L.I. Who. 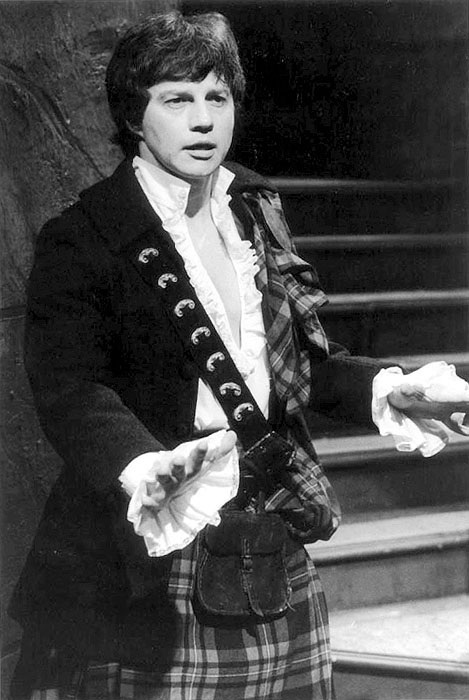 As one of the most beloved companions in Doctor Who history, Frazer Hines portrayed Jamie McCrimmon alongside Patrick Troughton (the 2nd Doctor). The Highlander from 1746 Scotland, he joined the Doctor for three years of amazing stories such as “The War Games”, ““The Tomb of the Cybermen”. 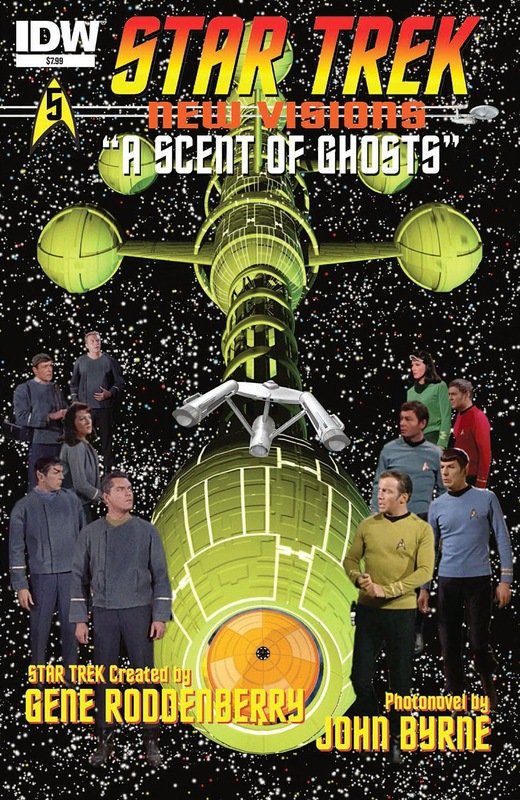 as well as the recently rediscovered episodes “The Web of Fear” and “The Enemy Of The World”. Frazer Hines starred in “Doctor Who” for 117 episodes making him the longest running companion. Although 47 of his episodes were lost, he is widely considered to be one of the greatest companions. His amazing portrayal of Jaime led to recurring guest roles in “The Five Doctors” and “The Two Doctors”. Frazer also stars in a variety of Big Finish Audio Dramas.In addition to his acting work, Frazer Hines has published two autobiographies. The first book he released was “Films, Farms and Fillies” in 1996. He followed in 2009 with “Hines Sight”. In 2013 he released his most recent book “50 Shades Of Frazer” all of which can be purchased from his website. Frazer will be in the forthcoming season of Outlander on Starz as Sir Fletcher Gordon, the governor of Wentworth Prison. The BBC released a photo signifying that the read through for Episode 5 is underway. I you can't guess from the picture above it star Peter Capaldi and Jenna Coleman. It is also been noticed that filming has begun at Margam Castle with the windows covered to prevent anyone seeing what is going on. It is noted that Margam Castle is the place where Hide was filmed during the Matt Smith era. 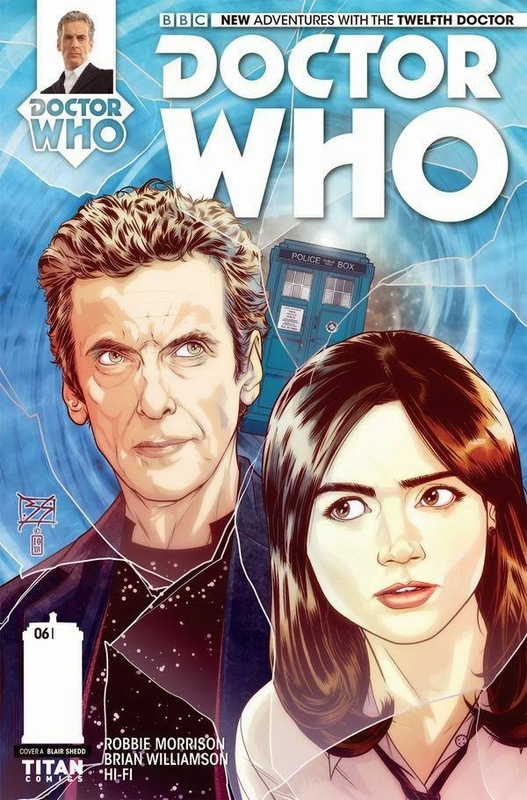 A new story arc begins today in the 12th Doctor comic book as The Doctor and Clara try to find out who or what are the Fractures. 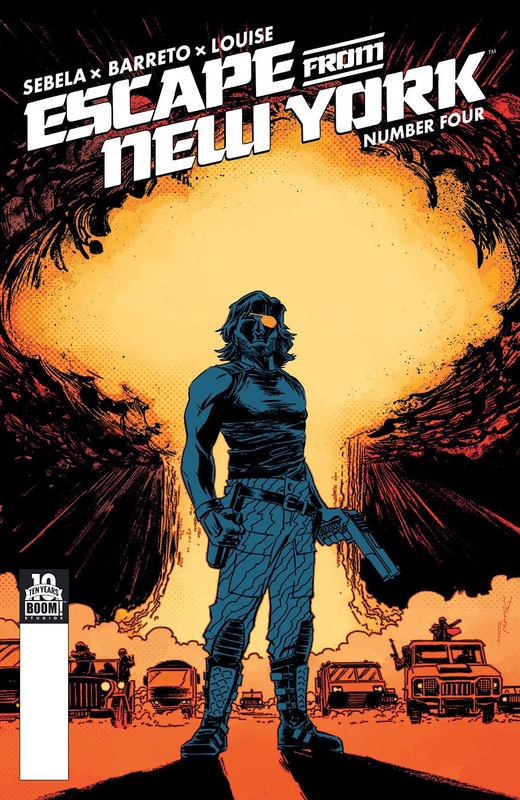 Issue six of the comic book is out today by Titan Comics. WHO OR WHAT ARE THE FRACTURES? Molly’s father was killed in a terrible accident. UNIT scientist John Foster suffered the same fate. But are they really gone? Both play a part in the universe-hopping new arc! The Doctor and Clara race against time to both stop a dreaded new peril – The Fractures – in a bid to stop reality unraveling around them. 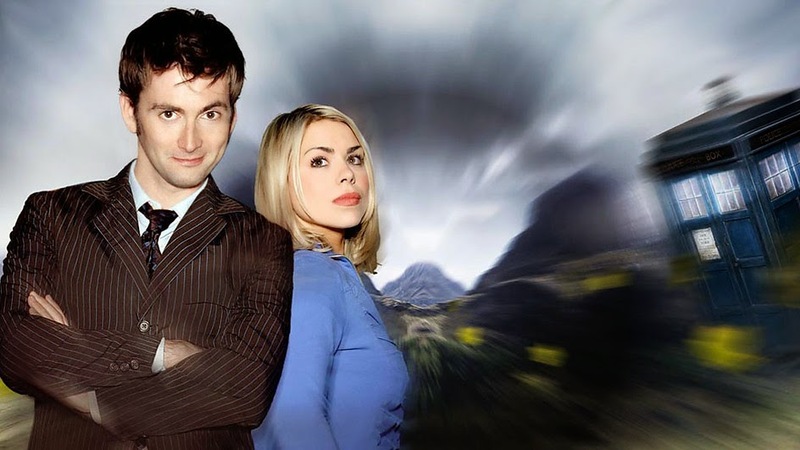 David Tennant and Billie Piper will be appearing together at this years Wizard World Philadelphia Comic Con on May 9 and 10. Now David Tennant will be there both days and Billie Piper will only be there on Sunday where they will do a panel together and of course the autographs and photo shoots. This is a pricy con with the VIP ticket for the pair on Sunday at $550.00. So if you have the money all the power to you and post videos on YouTube for the rest of us. For more information and tickets use the link below. The voice of the Daleks and Cybermen Nick Briggs will be a guest at this years LI Who Convention. Not only is he the voice of the Daleks and many other characters in Doctor Who but he is also one of the head guys at Big Finish and he has written quite a few Doctor Who Audio Adventures including the 50th Anniversary special The Light at the End. 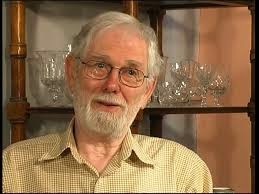 He also plays Sherlock Holmes for Big Finish and he is now working on The Prisoner audio series for Big Finish. You can order your tickets for LI Who 3 at the link. Former Doctor David Tennant was at the Wizard Raleigh Comic Con this weekend and there have been a few videos of some of his answers. This one is about what show he is currently geeking out on. Eye on Sci-Fi - Alien 5, Star Wars, Orphan Black, Prachett and more.. 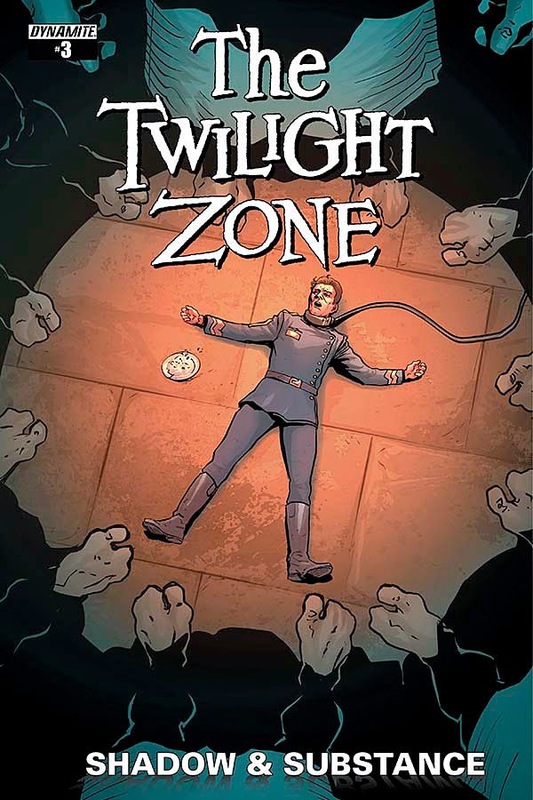 This is the first in a monthly blog that will cover things in Sci-Fi that have caught my eye. 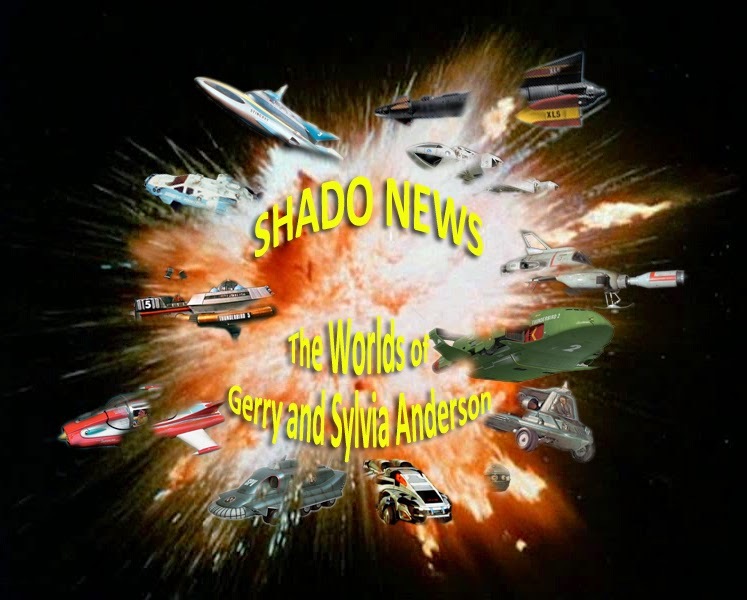 I won't be covering the Marvel and DC movies as that will be another blog and everything Gerry Anderson is another monthly series (although I may cheat once in awhile). This is more of a random look at some of the bigger sci-fi news and my personal opinions on things. This, being my first part, is a bit bigger than it should be so for that I apologize. So here we go. As you might be aware, there was one more classic Doctor Who DVD set for release but for some reason it keeps being postponed and now canceled. Not sure what the reason is. One is that the range of Doctor Who does not make enough money - this is totally false due to the money that the previous releases made. 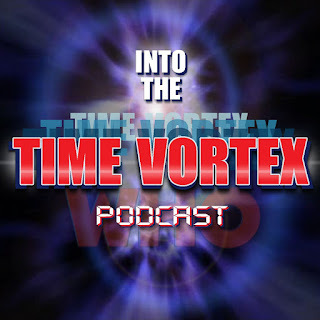 Could it be that the BBC are giving up on DVD and going for a digital release, or that they are waiting to see if Phil Morris has more episodes to return or there is a plan to release other stories that are missing a couple of episodes? 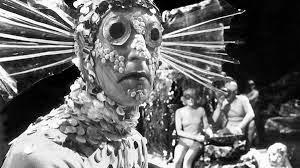 Whatever the reason, The Underwater Menace is being held up and it is making a very people upset. One of those persons is Anneke Wills, who played the companion Polly during the First and Second Doctors. This is one of her episodes and recently she tweeted that she has recorded a commentary and extras and wanted to sign a petition to get the release going. Well, here it is folks. Let's go ahead and get this released and perhaps others will follow. 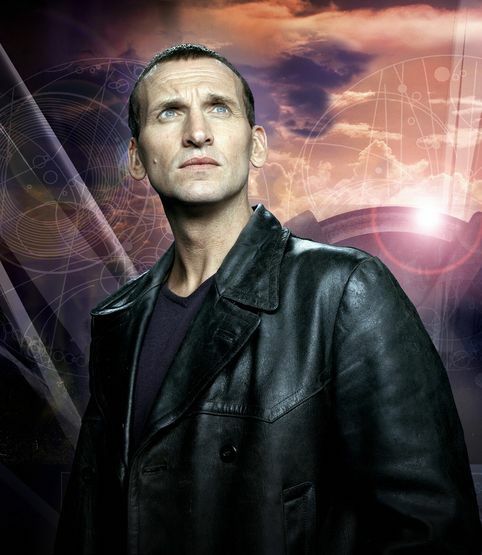 Titan Comics has released a sneak peak of its forthcoming Ninth Doctor comic book. It will be out in April so if you haven't reserved your copy yet you still have time to do so. Ninth Doctor issue one is out April 1st and you can read the synopsis and a sneak peak below. 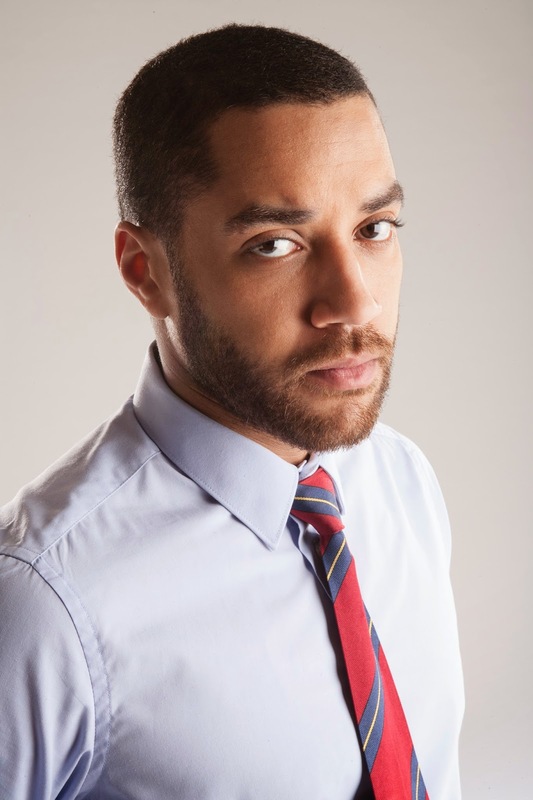 Boston TARDIS the new Doctor Who convention taking place in Boston on April 3rd to the 5th have announced that Danny Pink himself Samuel Anderson will be a guest for their first convention. You can check out the guest list and order tickets at the link below. LI Who3 has announced another guest and this time it is author Richard Dinnick. LI Who takes place November 13th to the 15th and you can order tickets at their website. LI Who is happy to announce Richard Dinnick is coming to LI Who 3 for his first East Coast Appearance! 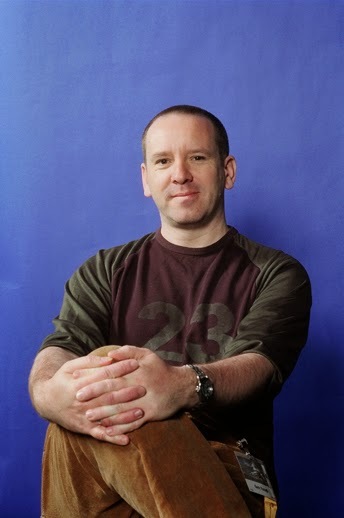 Richard is an award-winning screenwriter, working in the UK and the US. Currently he is head writer on Disney India’s new "Eena Meena Deeka", and "Captain Extraordinary” for Rushfirth Creative. He is also a staff writer on several TV shows including the BBC’s "Go Jetters" and the BAFTA award-winning "Tree Fu Tom” (starring Sophie Aldred and David Tennant). In 2014 Richard was a judge for the children¹s BAFTA awards and he has a track record in project development, recently working on Mind Candy’s "Moshi Monsters TV Series". 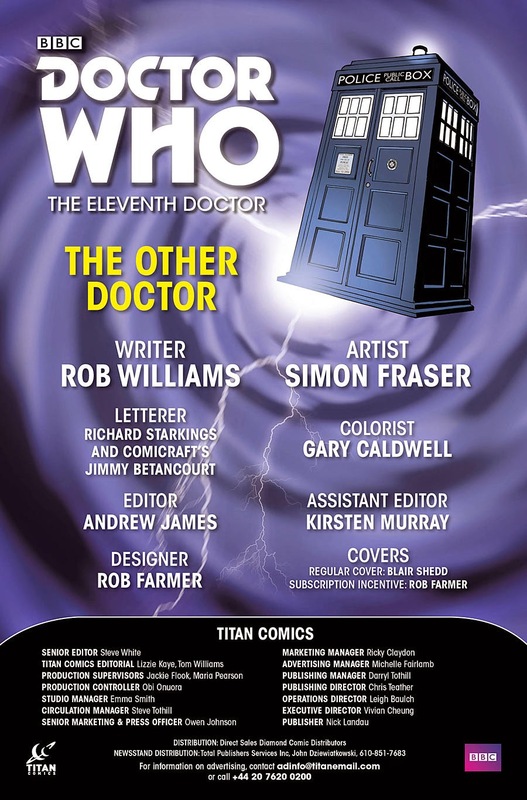 Richard has also written 20 books, short stories, audios and comic strips for Doctor Who. He has adapted the Sherlock Holmes stories of Sir Arthur Conan Doyle ­including "The Hound of the Baskervilles" ­for CD release and is currently developing several TV shows of his own for production companies and networks. LI Who 3 guest list continues to grow as they have added another guest. 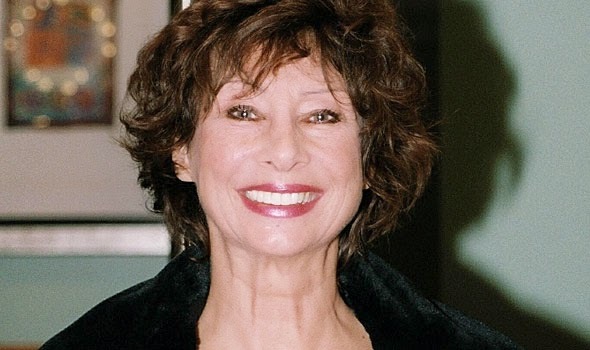 Appearing this year will be the first companion Carole Ann Ford who played The Doctor's granddaughter Susan Forman. Carole Ann Ford will be appearing at the convention this November 13th to the 15th and you can order tickets at the link. 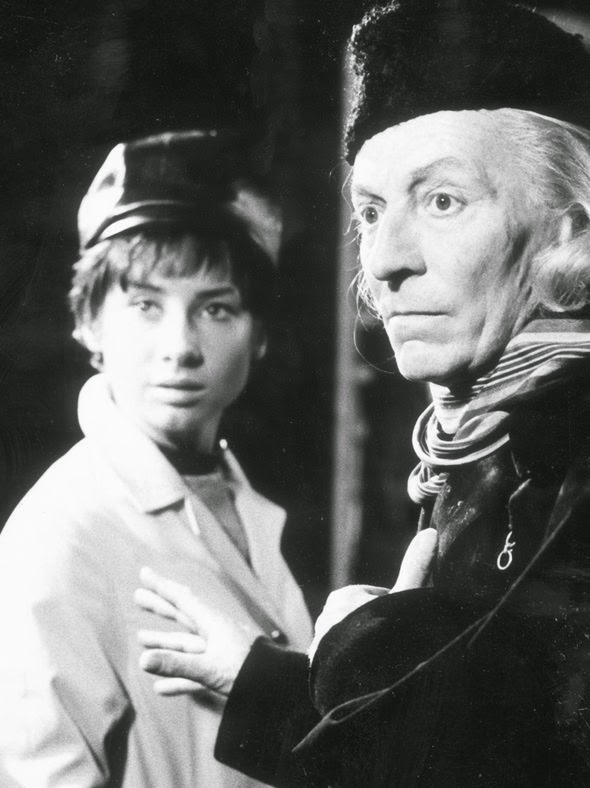 LI Who is honored to announce Carole Ann Ford the Doctor’s First Companion is coming to New York for the First Time at LI Who 3. LI Who is honored to announce Carole Ann Ford the Doctor’s First Companion is coming to New York for the First Time at LI Who 3. Carole portrayed the Doctor’s granddaughter Susan on Doctor Who starting with the very first episode “An Unearthly Child”. Leaving the show during the second season she has returned both onscreen during the 20th anniversary episode “The Five Doctors” and as well as a cameo during the docudrama An Adventure in Time and Space. 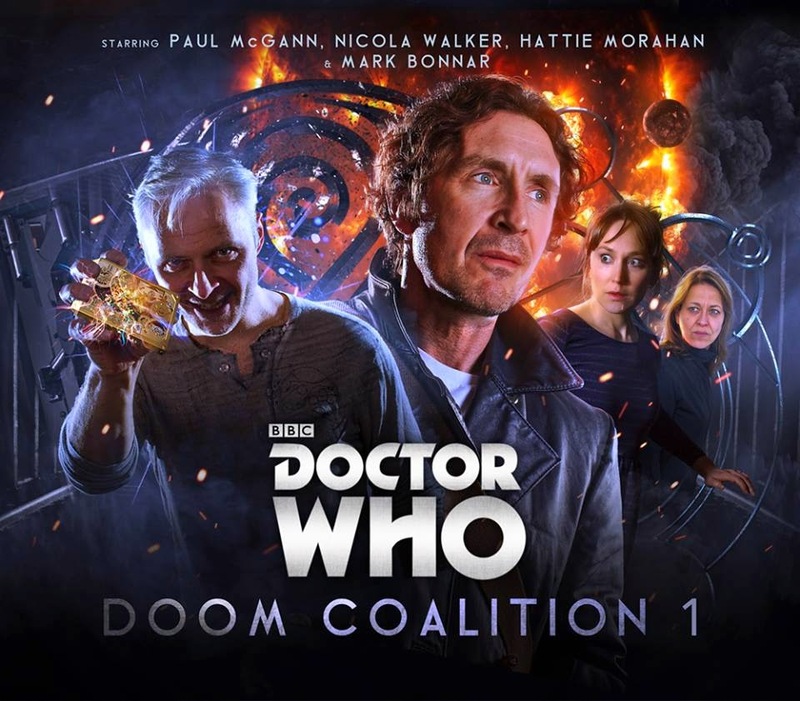 She has also reprised the role of Susan in two Doctor Who Unbound audio plays by Big Finish Productions.”Auld Mortality” and “A Storm of Angels”. She again returned to the role in the Big Finish dramas “An Earthly Child”,” Relative Dimensions”,” Here There Be Monsters” and “Quinnis”. 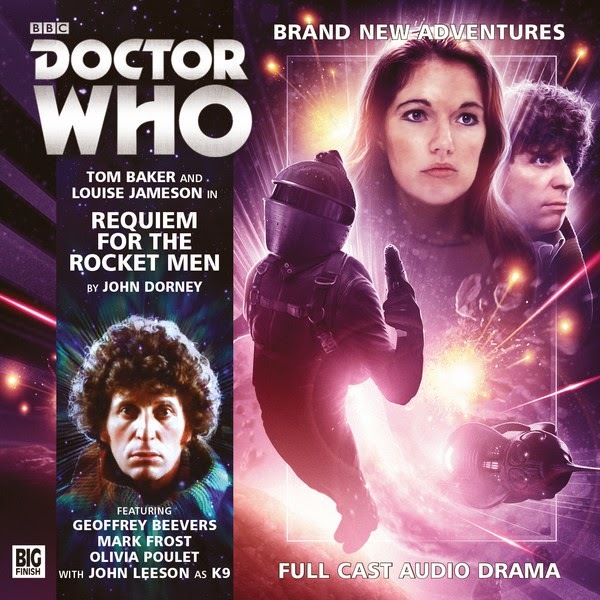 This month's 4th Doctor Adventure sees the return of The Rocket Men. This story also brings back a familiar foe also. You can order this adventure from the Big Finish website. The Asteroid - notorious hideaway of the piratical Rocket Men. Hewn out of rock, surrounded by force-fields and hidden in the depths of the Fairhead Cluster, their base is undetectable, unescapable and impregnable. In need of allies, the Master has arranged to meet with Shandar, King of the Rocket Men. But the mercenaries have captured themselves a very special prisoner - his oldest enemy, the Doctor. A relatively slow period before The Avengers: Age of Ultron hits the big screens in a couple of months. I can't imagine that a new trailer would make me want to see this movie more than before. 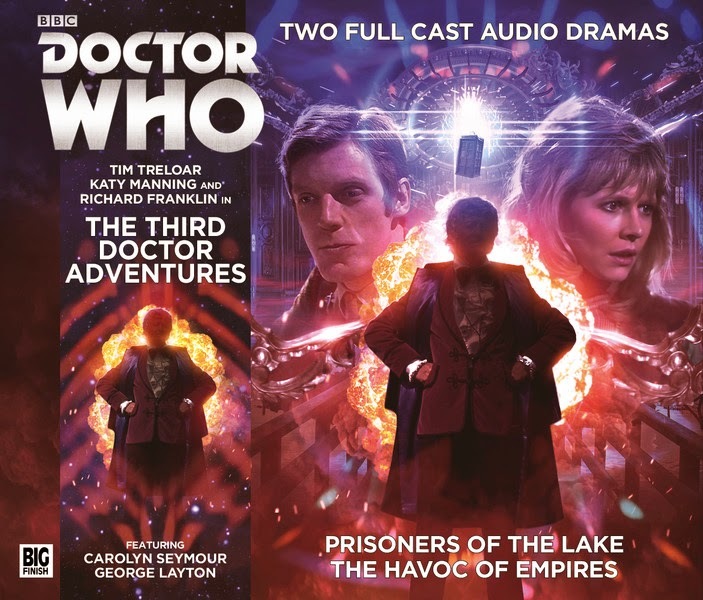 Big Finish's new Third Doctor Adventures box set will be out in October but you can now pre order this release and also view the cover and read the synopsis for this release. It will be interesting to hear the new 3rd Doctor as Tim Treloar will be taking on the role that Jon Pertwee made famous. You can pre order at the link below. This month's Main Range release concludes the 5th Doctor E - Space trilogy. Will we see our hero get back to our universe or not. 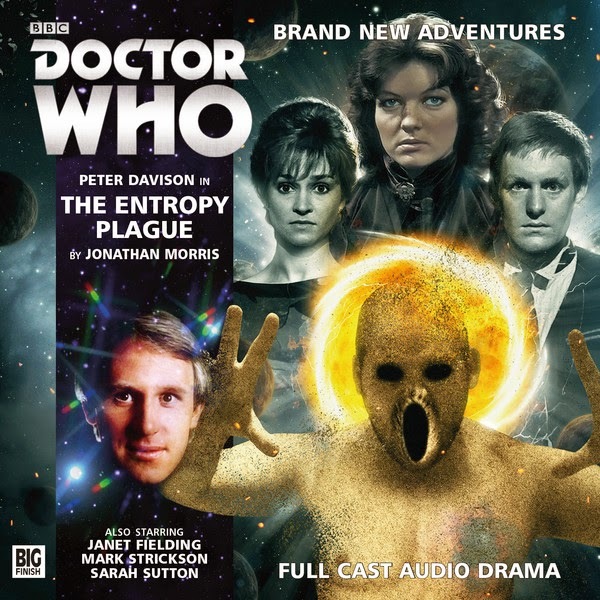 Find out in The Entropy Plague starring Peter Davison. You can order this audio adventure from the Big Finish website. 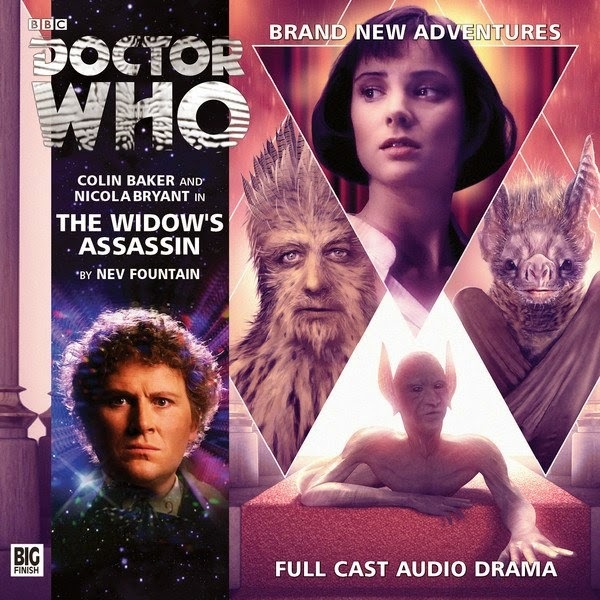 The Doctor, Nyssa, Tegan and Turlough soon learn that neither Pallister nor his ally, the space pirate Captain Branarack, will stop at murder to ensure their escape. But they're not the only menace on Apollyon. The Sandmen are coming – creatures that live on the life force; that live on death. Death is the only way out into N-Space. Death, or sacrifice. Being a fan of sci-fi, I have followed Neill Blomkamp' work, including his short subjects and absolutely love the look of his films. His 'realistic' look which often includes a poverty stricken Johannesburg contrasted with high tech weapons and technology, adds an unique signature to his films that people may either love or hate. The contrast of worker class and rich society was visualized in Elysium but has been present in all his films. His other themes include the alienation of different individuals, oppression and lack of communication. 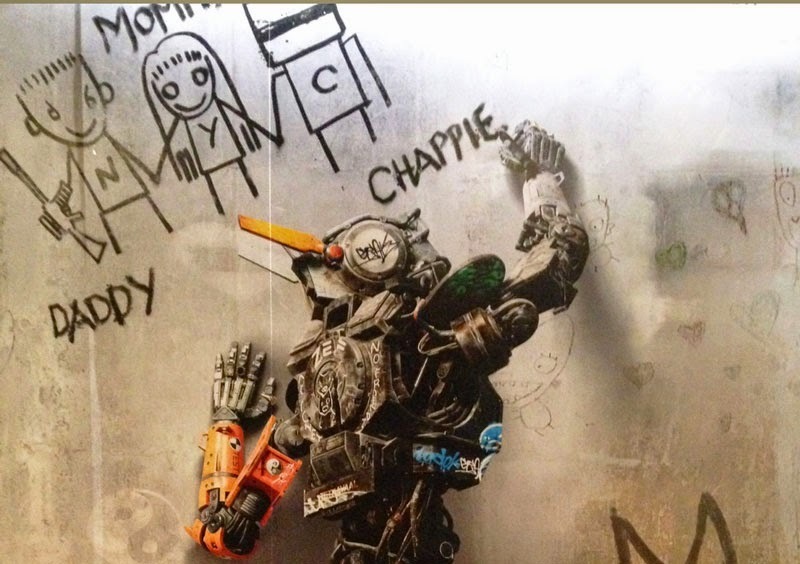 His latest movie Chappie has some interesting elements that make it different than his other films. 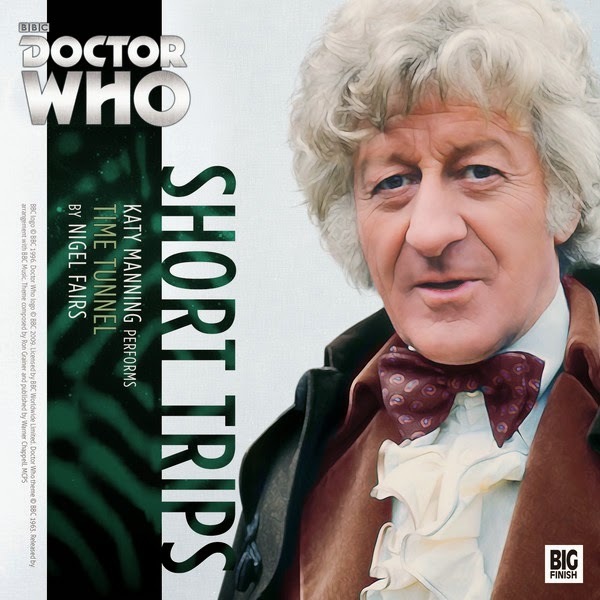 The third Short Trips by Big Finish is out and it is narrated by Katy Manning. The story is a 3rd Doctor, Jo, Brigadier and UNIT story. These 30 minute adventures are pretty good and worth listening too. You can order this download only adventure from the Big Finish website. Reports are coming in to UNIT of trains emerging from a railway tunnel in Sussex, their passengers and drivers dead. The Doctor elects to drive a train through the tunnel himself, but when he emerges Jo sees to her horror that he is covered in ice. Something in the tunnel has driven him close to the point of death. What can it be? LI Who has added another guest and this time it is Gary Russell. Gary Russell used to be the editor of Doctor Who Magazine, script editor for Doctor Who for the BBC and Big Finish and has written numerous books for Doctor Who for Virgin and BBC Books and Audio Adventures for Big Finish. You can order your tickets from the LI Who website. LI Who 3 will be on November 13th to the 15th. Doctor Who 484 is out now in the UK and they focus on what Steven Moffat has in store for the 12th Doctor and this issue begins a new comic strip adventure for The Doctor and Clara. You can read the details below. The Doctor and Liv return to post-World War One London, where the Doctor meets Kitty Donaldson (Beth Chalmers), and Liv strikes a friendship with her brother Martin (Barnaby Kay). But what mysterious force is hunting them? Today we get two Doctor Who comic books on comic book day as along with the 11th Doctor comic book we also get a 10th Doctor comic book also. 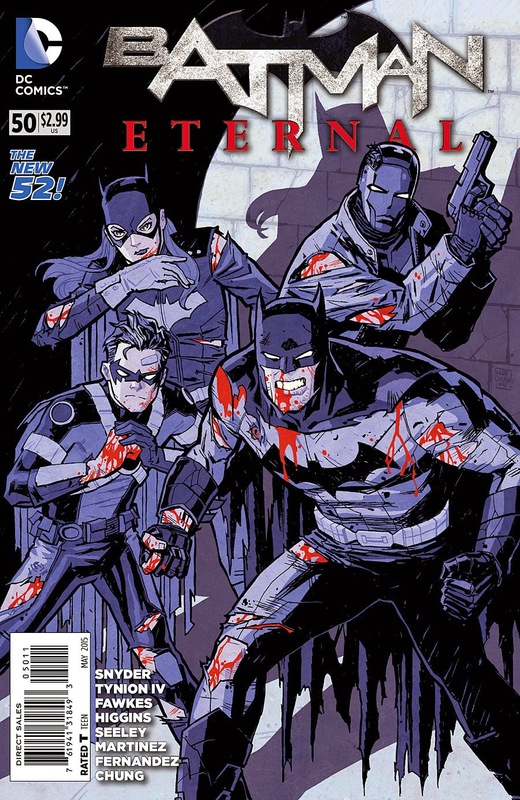 Issue 8 continues with the World War One Weeping Angels storyline. You can read the synopsis and preview below. "THEY SAY IF YOU’RE TOUCHED BY AN ANGEL, YOU’RE SAVED FROM THE HORRORS OF WAR." 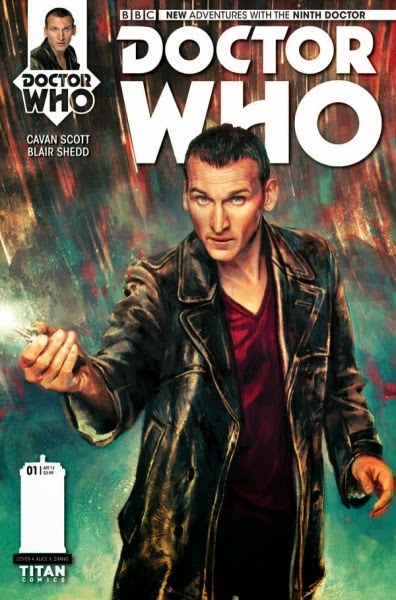 Out today is issue nine of the ongoing 11th Doctor Comic Book continuing the story of The Doctor against SERVYOUinc. Read the synopsis and preview below. "I DISLIKED MY ENEMY SO MUCH… I BOUGHT THE COMPANY!" L.I Who 3 has announced the first of many guests that will be revealed this month. 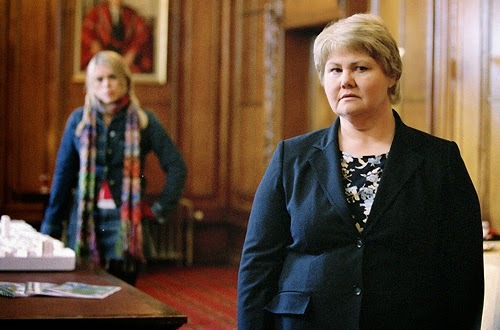 The first one is Annette Badland who played Margaret Slitheen in Aliens in London/World War 3 and Boomtown. You can buy your tickets on the L.I Who 3 website. http://longislanddoctorwho.com/ Below is the official announcement. LI Who is happy to announce Annette Badland in her first east coast convention appearance. On Doctor Who Annette played Margaret Blaine (aka Blon Fel-Fotch Pasameer-Day Slitheen), initially in “Aliens of London/World War Three”, then reprising her role in an acclaimed performance in “Boom Town” later in Series One. She is current roles include Ursula in the CBBC science fiction series Wizards vs Aliens, Mrs FitzGibbons in the Starz series Outlander, and she is also on EastEnders playing Babe Smith. 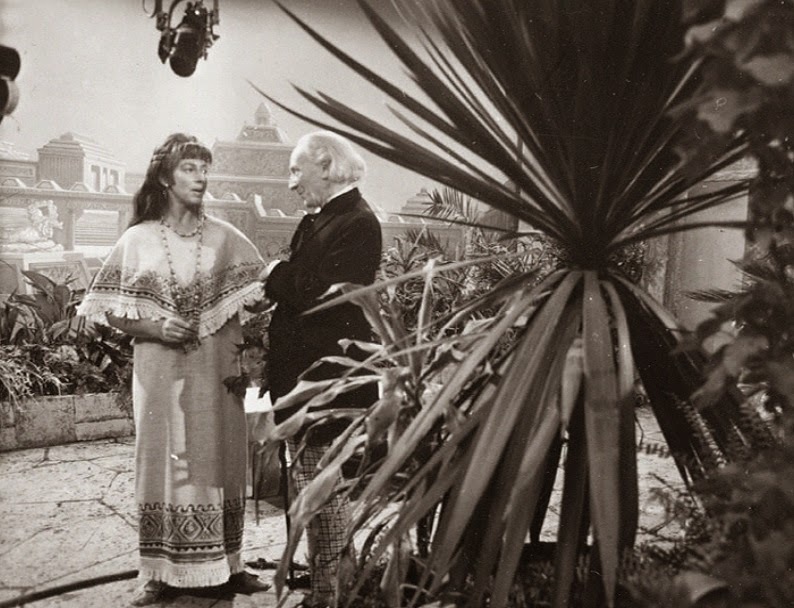 Barry Newbery, who worked on Doctor Who as early as the first episode in 1963, worked on designs for various stories including "Marco Polo", "The Aztecs", "The Crusade", "The Time Meddler", "The Daleks' Master Plan" and "The Gunfighters". He also worked on a few stories up to 1984 with his final work being done on "The Awakening." Newbery worked with Raymond Cusick on various set designs in the early years and concentrated most of his work on the historicals. 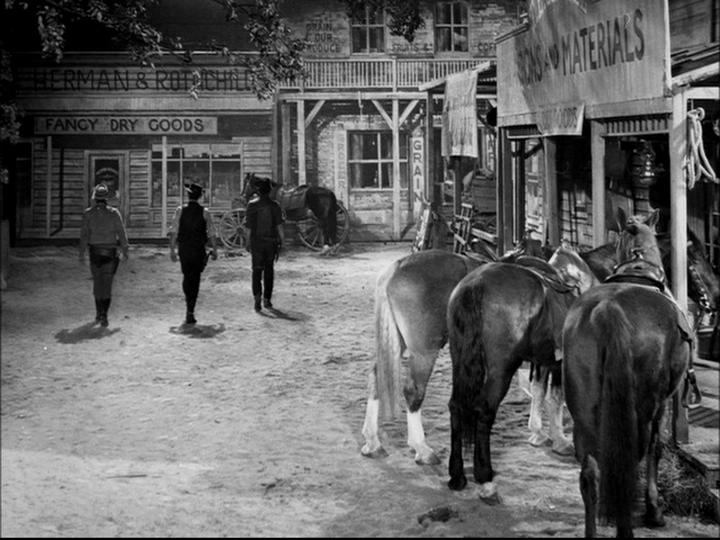 With the town of Tombstone and the city of Jaffa has two of his highlights, Newbery, with a limited budget, managed to complete believable settings for Doctor Who. He passed away on February 25, 2015. He was 88. Our thoughts and prayers for his family and friends. Doctor Who is filming in Tenerife and they have released a very short video about it.